← Who’s Reading “Cliff Walk”? Award-Winning Noir Novelist Bill Loehfelm! 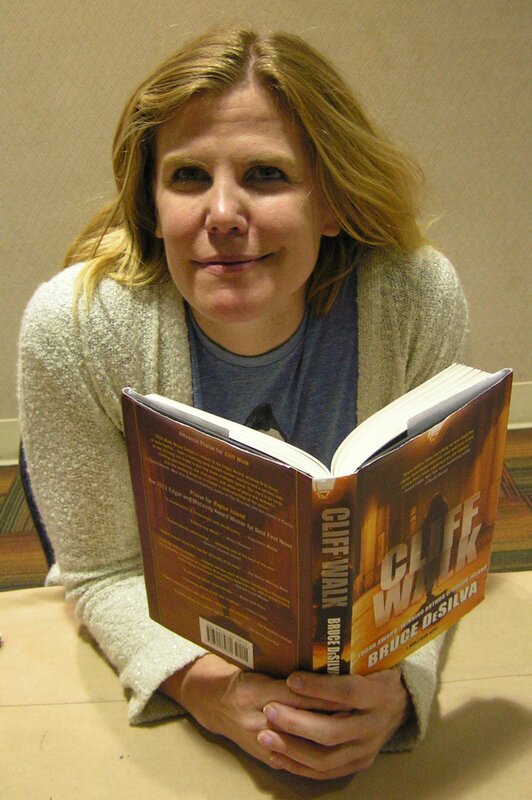 Chelsea Cain is one of the most popular mystery writers around. Her latest novel is called Kill You Twice, and FX is developing another of her books, Heartsick, for TV. You can learn all about Chelsea and her work by clicking here. Cliff Walk is the second novel in my hardboiled series featuring Liam Mulligan, an investigative reporter at a dying Providence, Rhode Island, newspaper. The first, Rogue Island, won the Edgar award and the Macavity Award and was a finalist for the Barry, Anthony and Shamus Awards. Reviewers call Cliff Walk even better. You can purchase the Mulligan crime novels by clicking here. This entry was posted in Uncategorized and tagged Anthony, Barry, Bruce DeSilva, Chelsea Cain, Cliff Walk, edgar award, FX, hardboiled, Heartsick, Kill You Twice, Liam Mulligan, Macavity Award, Mulligan novels, mysteries, mystery, newspaper, Providence, Rhode Island, Rogue Island, Shamus Award. Bookmark the permalink.